To celebrate five years of Bullet For My Valentine's 'Temper Temper', we revisit a fiery interview from around its release back in 2013. Sometimes, the finest records come from the very edge of collapse. 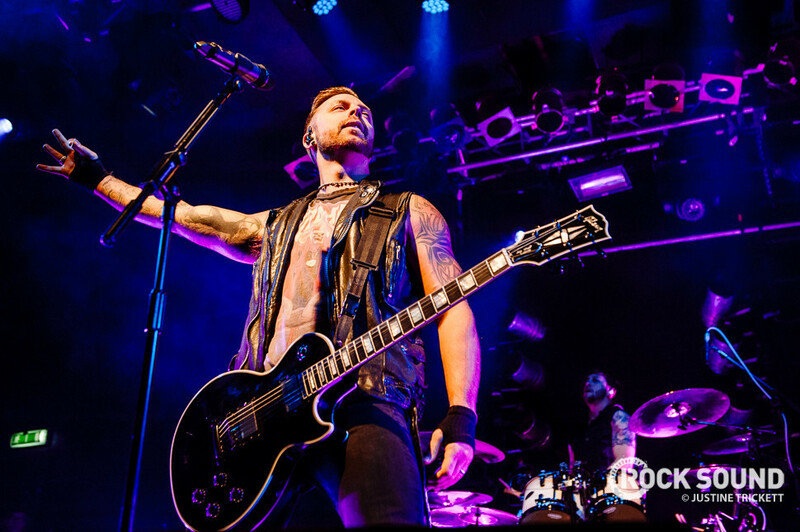 Sharper, fresher and more urgent than anything since their debut album ‘The Poison’, Bullet For My Valentine’s fourth album ‘Temper Temper’ might be the release to send them into the rock stratosphere, but its dark overtones speak of a period that brought them to their very knees. Leaving them jaded and homesick, their time supporting 2010’s ‘Fever’ forced them to consider whether the life of a professional band was worth the sacrifice, and for one member at least, there seemed little future. Their experiences in 2010 and ’11 forced Bullet to remind themselves why they loved playing this music in the first place, and to put some serious thought into striking a balance between the demands of the road and that of being a real part of their kids’ and partners’ lives. Taking a step back to reassess their priorities has evidently given Bullet a new lease of life. ‘Temper Temper’ might reflect the bitterness of their ‘long dark tunnel’, but it’s also the sound of a band utterly in charge of their own destiny, and with a renewed fire in their bellies. As far as they’re concerned it’s the start of a new chapter, and they’re determined not to repeat past mistakes. Moose explains how he found inspiration in an unexpected place." That rediscovered ambition and confidence is reflected in the dark but defiant, and brilliantly polished ‘Temper Temper.’ Describing the writing process as ‘total freedom’ they’ve emerged with a set tailored as much for Radio 1 as it is for Download Festival. They’ve never made any qualms about shooting for the stars, and this time they’re ready to go all out. It’s fighting talk – but the big question is, how far can ‘Temper Temper’ take Bullet? Fixtures at the top end of the summer festival circuit and comfortable in the arenas they’re already a huge deal all over the planet, but are they ready to take the leap to bona fide festival headliners? Matt is quietly assured.